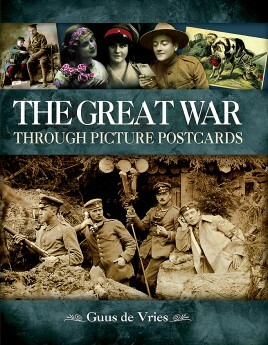 The ways in which the postcards depict the war differs greatly; from simple enthusiasm, patriotism and propaganda to humor, satire and bitter hatred. Others portray the wishes and dreams (nostalgia, homesickness and pin-ups) of the soldiers, the technological developments of the armies, not to mention the daily life and death on the battlefield, including the horrific reality of piles of bodies and mass-graves. Altogether, this extraordinarily vivid contemporary record of the Great War offers a unique and detailed insight in the minds and mentality of the soldiers and their families who lived and died in the war to end all wars. "A nicely laid out, full color book, offering a new insight to the life on the frontline. The only downside is that we don't get to see the messages on the reverse of the cards." 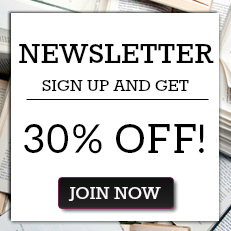 "'I was surprised by the variety of topics covered. The sentimental cards, sanitized pictures 'from the front' and so on are expected, but there are more showing casualties and other gruesome aspects of the war than I'd had expected. We also get satirical cards, humorous cards, propaganda and messages of support. This is a splendid book, providing a glimpse into the visual world of the participants in the First World War.'" "This is a high quality book that surprised me with the variety of postcards that Guus de Vries included. You get clear, bright photographs of nearly 500 postcards, many in color"